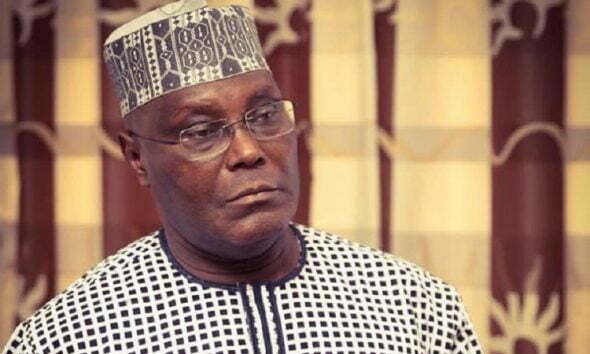 The Buhari Campaign Organisation (BCO) has instituted a N40million libel suit against the presidential candidate of the Peoples Democratic Party (PDP), Atiku Abubakar, accusing him of defaming President Muhammadu Buhari and his family. Buhari was cited as the 2nd Plaintiff in the suit, that was lodged before a High Court of the Federal Capital Territory. The Plaintiffs are praying the court, to compel the PDP flag-bearer to pay damages, for alleging that President Buhari and members of his family own substantial shares in 9mobile and Keystone Bank. The BCO, in the suit that has Atikuâ€™s aide, Phrank Shaibu as the 1st defendant, insisted that the claim was not only false, but highly libelous. The plaintiff is seeking a declaration that â€œthe 1st Defendant (Phrank Shaibu) on behalf and for the 2nd Defendant (Atiku) neglectfully, unlawfully and recklessly permitted and caused to be published in Newspapers, defamatory and damaging statements against the 1st Plaintiff (President Buhari)â€. The BCO applied for an order of the court for specific Damages against the Defendants jointly and severally in the sum of Thirty Millions Naira (N30,000,000.00), as the total sum above listed as financial loss the Plaintiffs incurred due to the wrongful, neglectful and fraudulent acts of the Defendants, which forced the Plaintiffs to spend to correct the wrong impression created in the minds of the members of the public due to the publication caused and published by the Defendants. The plaintiffs also want an order for â€œgeneral damages in the sum of (N10,000,000,00) Ten Million Naira only jointly and severally against the Defendants for the embarrassment, pain and unnecessary financial loss suffered by the Plaintiffs most particularly the 1 st Plaintiff who is a public figure, an honourable presidential candidate and reputable gentleman to the coreâ€. As well as an order of the court â€œfor the payment of the sum of (N375,OOO.OO) Three Hundred and Seventy Five Thousand Naira only being incidental expenses and/or legal charges which the 1st Plaintiff incurred in respect of this matterâ€. Ibrahim averred that as such, President Buhariâ€™s reputations was greatly affected by undue diligence, with regards to the authenticity of the information as it relate to the true ownership of the alleged companies which the 1st Defendant on behalf and for the 2nd defendant, falsely published in the newspapers for the consumption of the general public. â€œThe 2nd Defendant permitted and sponsored the 1 st Defendant, Mr. Phrank Shaibu to make and publish defamatory and damaging statement against the 1st Plaintiff in order for 2nd Defendant to get undue advantage in terms of votes from the member of the public more than the 1st Plaintiff (Buhari), the presidential candidate of the All Progressives Congress. â€œThat the 2nd Defendant who is a Presidential Candidate of the People Democratic Party hanged on this publications and using same on every campaign grounds to smear the person of the 1st Plaintiff to his supporters and other members of the public. â€œThat the 1st Defendant as an agent to the 2nd Defendant who is freely accessible to members of the public for patronage on behalf the 2nd Defendant, has the duty to investigate any information/documents means to be issued out either by words of mouth or publication to the members of public, most particularly where such information concerned a third a party or any member of the public. â€œThat the 1st Defendant without investigating the authenticity of the purported defamatory information with intent to damaged the reputation and integrity of the 1 st Plaintiff caused to be published in the Newspapers. That the Plaintiffs shall tendered two daily newspapers the Vanguard and P***h Newspapers both dated 27th December,2018 before the court during the hearing. â€œThat the 1st Defendant, to investigate and to ascertain the true ownership of the Keystone Bank Plc and 9Mobile Ltd (Etisalat) needed only to go to the Corporate Affairs Commission to find out whether the said Companies truly belong to the 1st Plaintiff before publishing that the Companies were bought and own by the 1st Plaintiff, his family and friends in the purported publications. â€œThat the Defendants having willingly refused to so do, have failed to exercise due diligence and were therefore Negligent. â€œThat the 1 st Defendant for and on behalf of the 2 nd Defendant negligently caused to be published defamatory and damaging statements against the 1 st Plaintiff and the 2nd Defendant gave the 1St Defendant and his cohorts the mandate to use the said publications against the Plaintiffs all over the place. â€œThat the neglectful acts of the Defendants more particularly that of the 1st Defendant has caused grave pain, embarrassment and integrity question to the Plaintiffs more particularly to the 1st Plaintiff (Buhari),â€ he added.